CSLB is tracking a host of bills before the state Legislature this year that would affect contractors if passed and signed. 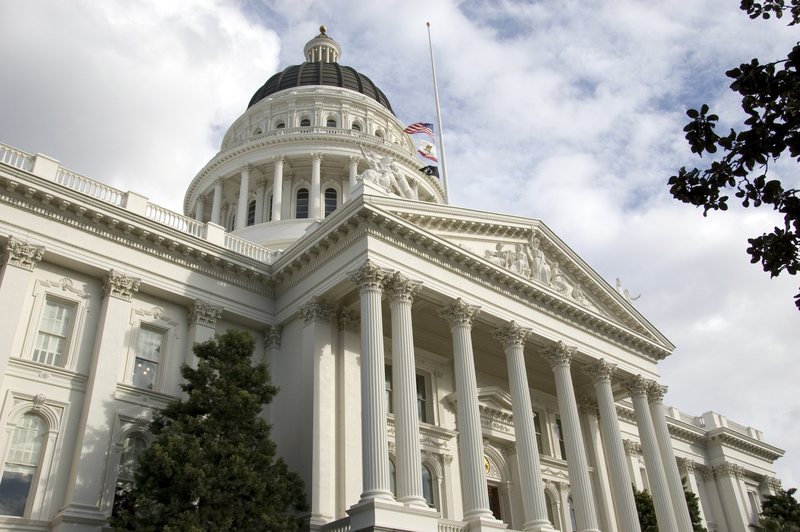 The bills considered by the Senate and Assembly can still be amended until the end of August. The list is not all-inclusive, but includes legislation that CSLB is either sponsoring or believes will have the greatest impact on the contracting industry if passed and signed by Governor Edmund G. Brown Jr.
You can follow a bill's progress and amendments, or search for legislation of interest, on the Office of Legislative Counsel's legislative information website. Senate Bill (SB) 465 (Hill) Contractors: Discipline: Reporting – This bill would require licensees to report to CSLB in writing if they are convicted of any felony or any other crime substantially related to the qualifications, functions, and duties of a licensed contractor. It also would require CSLB to study and report to the Legislature on whether public protection would be enhanced if licensees were required to report judgments, arbitration awards or settlements for construction defects relating to rental residential units to CSLB. SB 661 (Hill) Protection of Subsurface Installations – The bill, the Dig Safe Act of 2016, would create the California Underground Facilities Safe Excavation Board under the Office of the State Fire Marshall. The board would investigate reported violations of state excavation regulations and refer results of investigations to the appropriate state agency, including CSLB, to take action. The bill also would require excavators to delineate the area to be excavated, and compel the installation operator to locate and field mark its subsurface installations within that area. It also would exempt an excavator of financial liability for inaccurate field markings. SB 1039 (Hill) Professions and Vocations – Sponsored by CSLB, this bill would raise CSLB's existing fees, effective July 1, 2017, and raise the statutory cap on fees. SB 1155 (Morrell) Professions and Vocations: Licenses: Military – This bill would require every board within the Department of Consumer Affairs to grant a fee waiver for the application and the issuance of an initial license to an applicant who supplies satisfactory evidence that he or she has served as an active duty member of a state National Guard or the U.S. Armed Forces and was honorably discharged. SB 1209 (Morrell) Contractors: Discipline – Sponsored by CSLB, this bill would expand the existing citation disclosure provision in contractor law, to require that disclosure of citations also appear, for the period of disclosure of the citation, on the license record of any other licensee identified as a qualifier who is listed in the members of the personnel or record of the license that was issued the citation. SB 1479 ( Business, Professions and Economic Development Committee) – Sponsored by CSLB, this bill would eliminate the provision of existing law that voids an application to CSLB after an applicant has failed to reschedule an exam within 90 days of cancellation, or twice failed to appear for an exam. This bill also would revise existing requirements for a blanket performance and payment bond. Assembly Bill (AB) 1793 (Holden) Contractors: Licensure Requirements: Recovery Actions – This bill would amend Business and Professions Code Section 7031, and modify the criteria that must be met for a court to determine that a contractor is in substantial compliance with the licensing requirements. AB 1926 (Cooper) Public Works: Prevailing Wage: Apprentices – This bill would require, when a contractor requests an apprentice to perform work on a public works project, that the apprentice be paid the prevailing wage rate for the time spent on a required activity. AB 2486 (Baker) CSLB: License Search – This bill would require the Board, prior to January 1, 2019, to add an enhancement to the current contractor license check search function on its website to enable consumers to search for a licensed contractor by either ZIP code or geographic location. AB 2693 (Dababneh) Financing Requirements: Property Improvements – This bill would prohibit a public agency from permitting a property owner from entering into contractual assessments to finance certain energy-related improvements unless the owner satisfies certain conditions and is given the right to cancel the assessment within a specified time period without penalty or obligation. It additionally would prohibit making representations to the owner regarding the effect of improvements on the property's value without using certain methods. AB 2859 (Low) Professions and Vocations: Retired License – This bill would authorize any board within the Department of Consumer Affairs to establish a retired license category of license for persons not actively engaged in the practice of their profession or vocation. The legislative session ends August 31. September 30, 2016 is the last day for the Governor to take action on legislation.